John Wilkinson was born in Washington DC in 1945. He was raised in Springfield Missouri. John’s father was a Professor of Psychology and his mother, a home maker. He had a good and happy childhood and wonderful parents. Music was the main focal point in the home and never a day would go by without it. 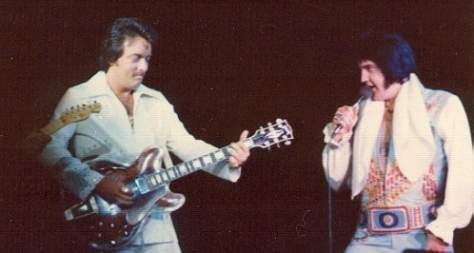 When John first heard and watched Elvis as a young boy, it was at the time Elvis was in the Louisiana Hayride. He loved his music which was totally different to what they were used to in Springfield. 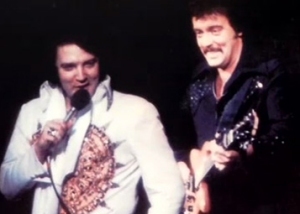 John’s parents’ reaction to hearing Elvis was one thing, but seeing him was another. They were conservative people and not excited with the image of their son’s idol, however this did not deter him from buying Elvis’ records and eventually his parents accepted John’s new tastes.